Feel like kicking on? Come party with us at the official Laneway after parties. Tickets to all three parties are on sale now, with special early-bird prices available. Featuring DJ Defs Worthit (Kevin Parker), Juno Mars (Jagwar Ma DJ set), Roland Tings (DJ set), Lord Fascinator, Pond DJs, White Lung DJs, Laneway DJs with more TBA. 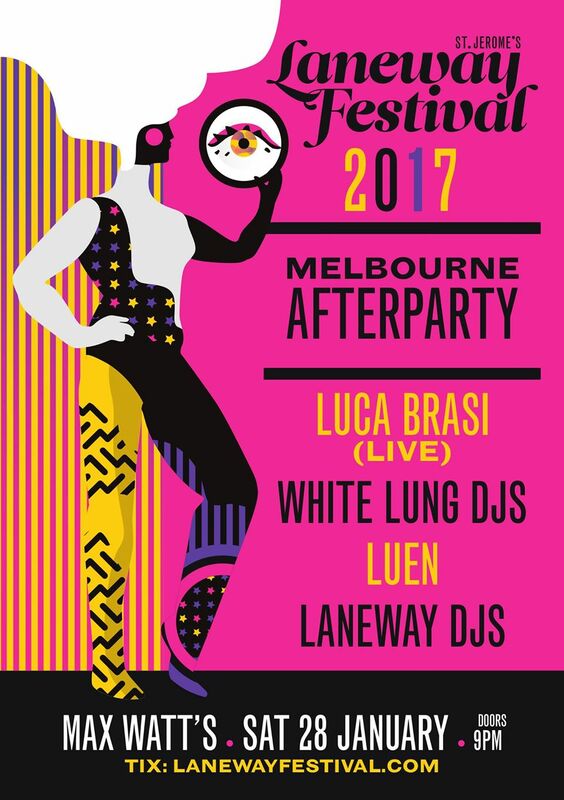 Featuring Luca Brasi (Live), DJ Defs Worthit (Kevin Parker), Lord Fascinator, Pond DJs, White Lung DJs, Luen, Laneway DJs with more TBA. Featuring Roland Tings (DJ set), These New South Whales (Live), White Lung DJs, Julia Jacklin (DJ set), Siberia Records DJs, Laneway DJs with more TBA.